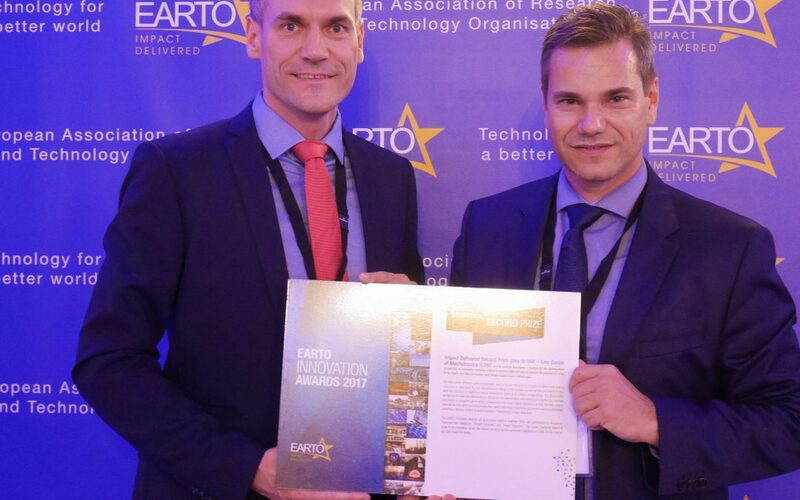 At the ceremony for the EARTO Innovation Awards, the prestigious European research awards, Smartbow and Linz Center of Mechatronics GmbH (LCM) placed second among a total of 32 entries from all over Europe. The ear tag developed by Smartbow and LCM makes it easy to determine whether a cow is on heat, suffering a metabolic disorder or is in the early stages of illness. To this end, shifts in the animals’ position and the movement of their ears were recorded and compared with video clips which then enabled calculation of typical behavioural patterns using algorithms. Besides precise location of the animal’s position, its state of health can also be ascertained and monitored – digitally and worldwide. The awards ceremony took place on 11 October 2017 at the BELVue Museum in Brussels. 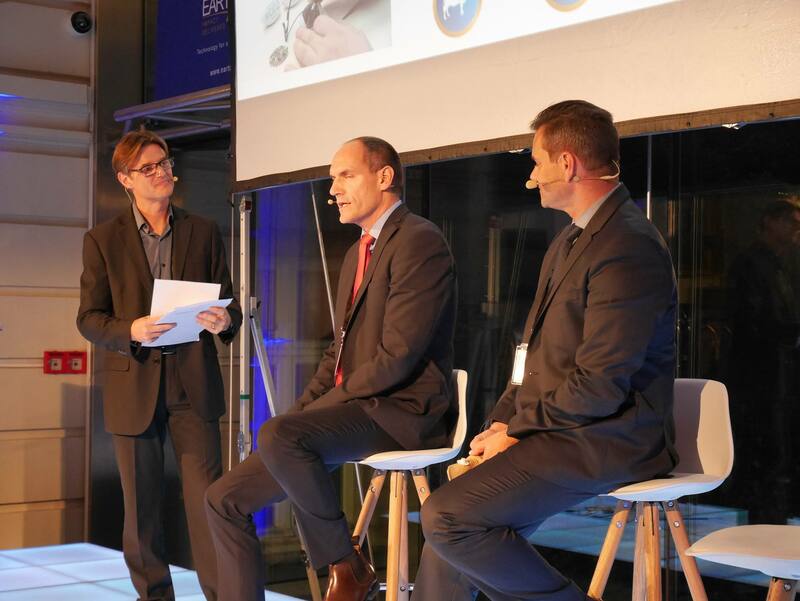 Linz Center of Mechatronics GmbH (LCM) and Smartbow presented their project in an elevator pitch in the “Impact Delivered” category. Other nominees in this category included Tecnalia from Spain and TNO, the Dutch research promoter. In all, there were 6 nominees in 2 categories. In the second category, “Impact Expected”, these were Fraunhofer Germany, VTT Technical Research Centre of Finland and VITO from Belgium. Winners of the 2017 Innovation Award were AURA Technology by TECNALIA and CLEANTAN by the Fraunhofer Society. The EARTO is an innovation award presented annually for innovations that have a significant social or economic influence. An independent panel of judges assesses the innovations put forward and selects the winner. 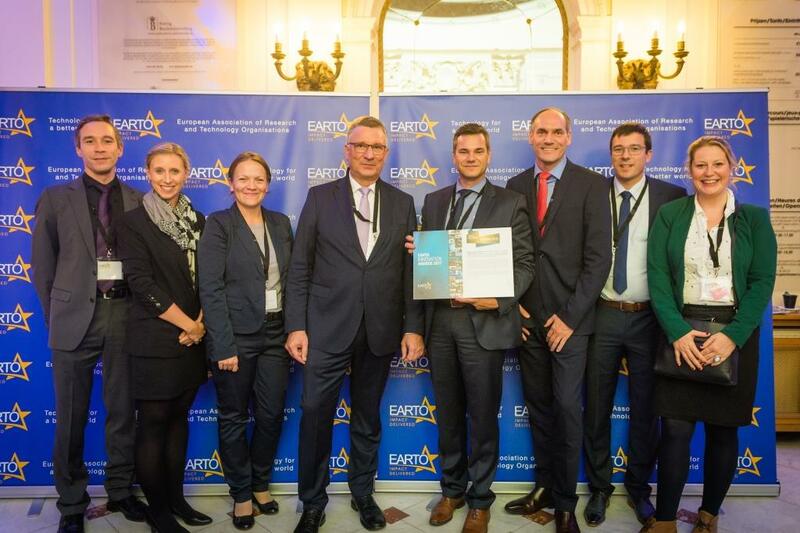 The EARTO Awards are presented in Brussels at a gala ceremony attended by leading figures from industry and politics.